Malfestio wants you to come play. Hunters, prepare yourself. It's time to beg for early access demo codes! 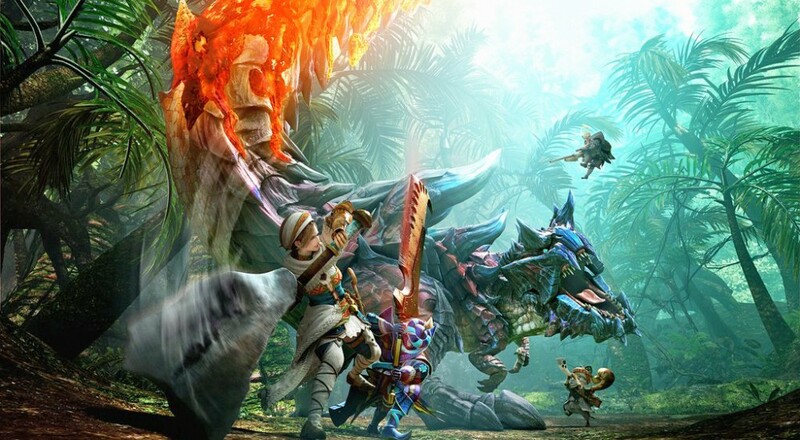 Nintendo's E3 presentation included a chunk of news for Monster Hunter Generations, the localized version of Monster Hunter X. In short, the demo launches June 30, but early download codes are being sent out now. Just like with Monster Hunter 4 Ultimate, Nintendo will randomly send out two codes to select members of My Nintendo. If you're signed up to receive e-mails from the big N, you might just get one. Then again, you might not, which leads to the inevitable "please sir, can I have a code?" on forums and social media across the web. The demo does include both local and online co-op for up to four players, allowing you to pick a weapon, pick a hunting style, and take on the kangaroo-like Great Maccao, the big angry owl Malfestio, and Nargacuga. There's an interesting alternative if you don't get lucky and snag a code. The Humble Bundle includes a special E3 download ticket for Generations. All you have to do is pay $4 and the demo is yours. Kind of an odd tax for impatience, but it's Monster Hunter, and Monster Hunter is good. You also get all the other stuff Humble Bundle offers, which is always neat. The good news is that even if you don't get the early demo codes, everyone can download it on June 30. Better still, the game launches in North America and Europe on July 15, so it's not like we have long to wait. Page created in 1.5328 seconds.